Communication is a key element in the lives of humans. Smartphone is no longer a luxury. It keeps people updated with the news, happenings, and also assists in doing several tasks. But there is a huge section of poor people who lack the financial capability to purchase and maintain a mobile connection. To bridge this communication divide, the Chhattisgarh state government has implemented the Sanchar Kranti Yojana or SKY to offer free of cost smartphones to people who belong to BPL categories. Increased communication grid – With this smartphone program, the state will help people of all sections of the society to be a part of the extended communication grid. Establishment of GSDP service – For the proper implementation of this scheme, the state government will improve the GSDP service providers. Advanced internet connection – With the implementation of this smartphone scheme, the government also plans on betterment of the internet connection services. A smartphone is useless without steady internet connection. Online cash transaction in remote regions – It is easy to download several online applications, which can be used to transfer cash from one account to another. By distributing these cell phones and enhanced internet access, the state government is paving the path for online cash transactions in remote villages as well. Availability of e-services – The distribution of these smartphones and easy connection with the internet will make it easy for the BPL candidates to attain detailed information about several e-services, present at schools and hospitals. Easy attainment of policy related updates – When every citizen in the state has a smart phone in their hands, sending messages about any new government scheme or any new alterations will become easy. All the state agencies need to do is generate a message that will reach every beneficiary. Increased digital literacy – With the distribution of these smart phones, the state authority will be able to increase the overall digital literacy in the area, especially among the people who belong to the BPL category. Free smartphone for citizens – The Chhattisgarh government will offer smartphones to people in the state, free of cost. Number of beneficiaries – The state government will start the implementation of this scheme with the distribution of 5 million candidates. Scheme for BPL candidates – The program has been especially developed for the betterment of people who fall under the poverty line, and have BPL cards. Connectivity to digital world – When the poor people have access to free smartphones, they will also be able to use the power of internet. Thus, they will get linked with digital development. Smartphone in every hand – As there are many poor people in the state, a scheme like this will bring in more and more people directly into the digital sphere. Promote English – Apart from increasing digital connectivity, the use of internet and smartphones will also enable people to get accustomed to English language. Government reservations – For the implementation of this unique scheme, the state needs to make around 71% reservations for distribution phones and developing internet connection. English speaking kits – The state government also desires to make arrangements for children to learn English. Thus, distribution of English speaking kits will be made in most primary schools. Number of applicants – As of now, the state government has already finalized the application of 3 lakh transsexuals, 39 lakh students and village folks, and 45 lakh female applicants. Aadhar card is a must – The first eligibility is that every applicant must have his/her Aadhar card. It will offer government officers identification details, which can be verified. Must be a Chhattisgarh citizen – Only legal citizen of this state, meaning people who were born in this area will be able to get their names registered for attaining the free smartphone. Must come from financially weak background – Only those people will be able to apply for this new scheme that does not come from financially sound backgrounds. Only people who fall below the poverty level will be able to apply. Aadhar card – The Aadhar Card is the most important document that each applicant needs to submit with the registration form. BPL certificate – As the scheme has been designed for poor people, the applicants need to submit a copy of the BPL certificate. How service providers will operate? To offer better internet and network coverage, the service providers will install around 1500 new cell phones towers. These will be placed on the top of government buildings and offices. No money will be charged for these tower installations. For the services, which the telecom department is getting, the cost will be borne by the respective mobile companies. How to select the candidates? To ensure that a vast number of people get the benefits of this scheme; it will be the responsibility of the rural development office and the Panchayat office to prepare a list of all applicant and shortlist the final beneficiaries accordingly. When it comes to implementing the scheme among candidates who are still pursuing education in schools and colleges, the final selection of applicants will be the responsibility of the education department of the state. In case female applicants apply for a new cell phone in their name, the state will approve the application with the aim of offering women with proper developmental opportunities. Phase wise distribution – During the 1st phase, the state will offer 08 million smartphones, free of cost to applicants. During the 2nd phase, the number of distributed smartphones will equal to 4,80,000 units. Distribution according to village population – In case any village in the state has a total population that is around 1000, then the area will get smartphones during the running time of second phase. Linking the number – After all applicants have received their smartphones, the state will make necessary arrangements to link the details of the subscriber with his/her Aadhar card and bank account number. It will assist the state authority in tracking illegal actions. With the proper implementation of this scheme, the state government will allow the financially weak individuals to come into the telecommunication grid. All state governments should work towards the development and implementation of schemes, which are associated with technology. It will go a long way to make the PM’s dream of Digital India a reality. 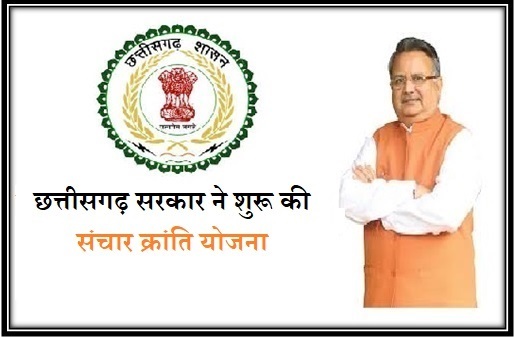 Chief Minister Raman Singh is shortly launching the Sanchar Kranti Yojana. This Yojna aims at distributing 50 smartphones to the poor as well as the students in the state. But days ahead of the launch, Chhattisgarh Janata Congress has asked to halt the distribution to the Election Commission. The recent report points out that the first set of smartphones under this scheme will possibly be distributed by the end of this week by President Ram Nath Kovind. The date of distribution is scheduled from July 26 to July 30. The main objective of this scheme is to offer an incentive to the voters. Talking about the smartphones, it will feature pre-loaded software.